how to publish your eBooks through Amazon’s Kindle Direct Publishing service. Watch in full-screen at 1080p. 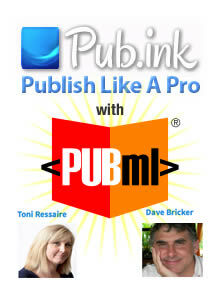 The PubML™ eBook platform combines a web-based eBook format with book design guidance and publishing expertise. 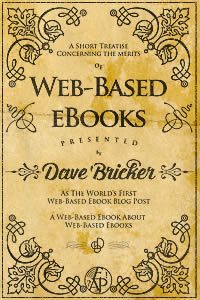 EBook publishing is no longer a chore or an insurmountable technical challenge. PubML’s™ holistic approach educates, empowers, and inspires writers and publishers. EBooks and popular eBookstores have been around for a while; these rely on either the ePub eBook format or some variant like Amazon’s .mobi. Publishers made a huge investment in converting their catalogs to ePub2 format for consumption on dedicated eReader devices. But after the ePub3 standard was released to enhance the capabilities of eBooks, eReader device manufacturers were slow to embrace the new standard. Without ePub3 support, publishers will naturally hesitate to deliver enhanced eBooks that won’t appear or function consistently for all readers. The PubML™ eBook format (PubML stands for Publishing with HTML) was created to display reflowable, paginated text in the web browser, along with elegant typography, web fonts, rich media, photo footnotes, and other features. 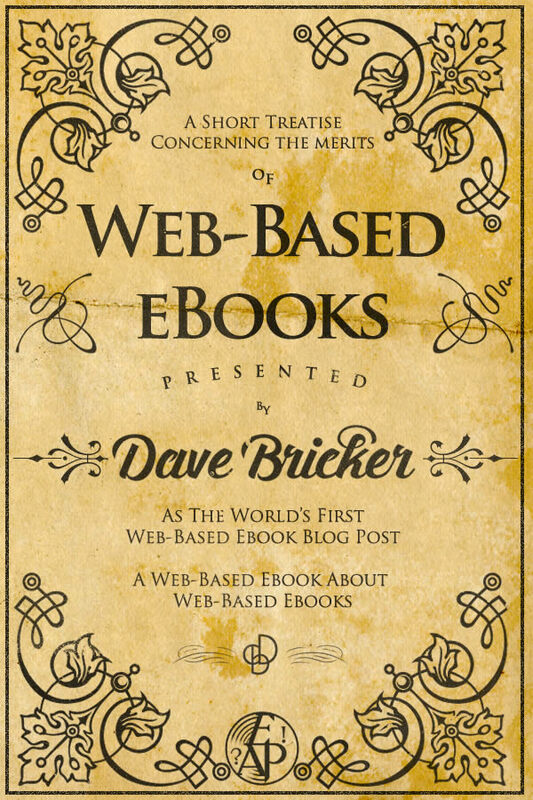 The web browser is now officially the most powerful and flexible platform for eBook display. Publishing on the free Internet offers a distribution channel that bypasses proprietary bookstore and app store commissions. PubML™ eBooks can be read online or offline. They can be viewed as hosted websites or distributed as digital downloads for local viewing. 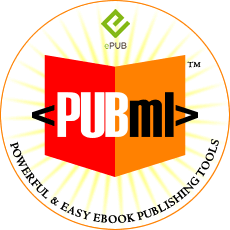 The PubML™ Publishing tools export to both traditional ePub2 format and to PubML™ web-book format. Publishers can choose either or both. The Blue Monk is an IPPY Award-winning memoir about my adventures sailing solo during the 1980s and 90s. As I worked on my manuscript, I thought about ways I could honor the places and people I’d encountered on my voyages. My research contained hundreds of maps, photos, video clips, and footnotes; I wanted to find a way to share these resources without bloating the file size or cluttering the text. As a book designer, I wanted to produce an electronic book that respected classic principles of layout and typography. The PubML™ eBook format (Publishing with HTML) enables beautiful, rich media eBooks to be delivered where they should be—through your web browser. PubML™ eBooks combine elegant typography with reflowable, paginated text, and they offer a “third stream” alternative to proprietary bookstores and proprietary eReader devices. The Blue Monk is much more than a demo PubML™ eBook. It’s a vivid account of setting sail in a small boat (named The Blue Monk after the Thelonious Monk composition) to find big adventure, and documentation of the untold history of Miami’s Biscayne Bay. 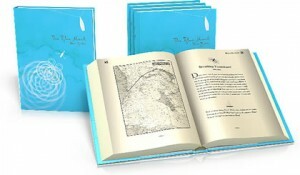 80 interactive maps allow readers to follow my routes and fly over remote places. 100 Photo Footnotes clarify nautical terms without adding clutter to the pages. 200 photographs and 350 video clips allow the reader to build a personal connection with people who were part of the story. The Blue Monk is a fusion of rich media and literature where hundreds of images, maps, and video are kept subordinate to the written word.